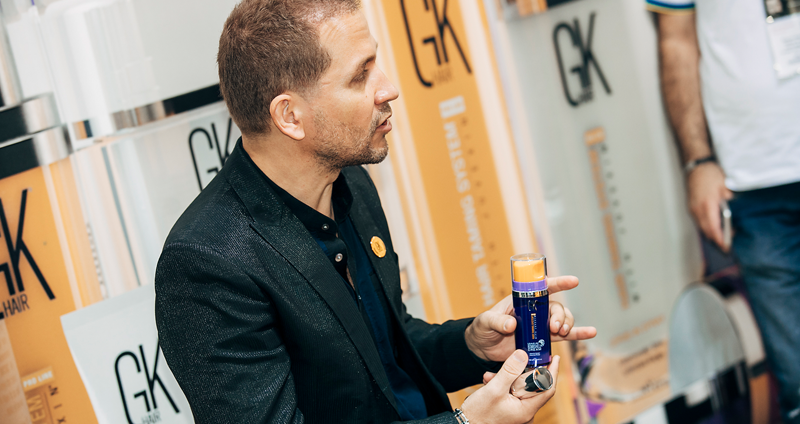 GKhair’s dedication to customer service, constant development and partner relationships has given the brand the tools to reach the highest levels in the beauty industry. 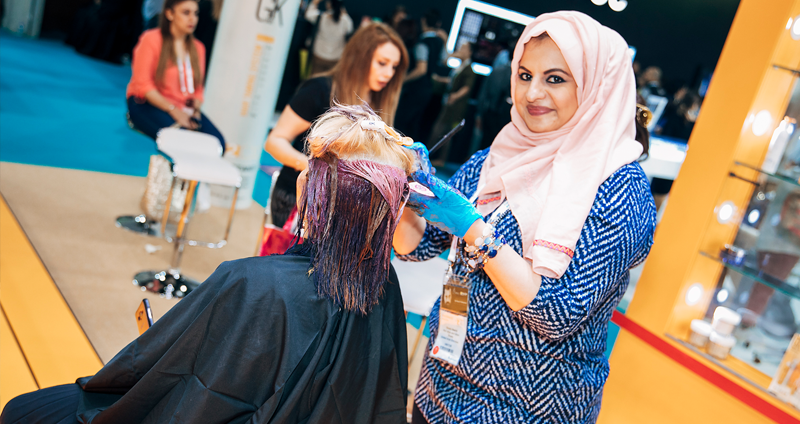 Featured in the Beautyworld Middle East for the eighth time, the brand unveiled some splendid products that created a real hype among the audience. 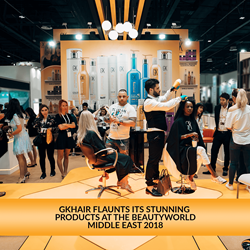 - In its eighth appearance in the Beautyworld Middle East exhibition, the company presented a unique space while welcoming clients and partners to experience GKhair products and treatments. 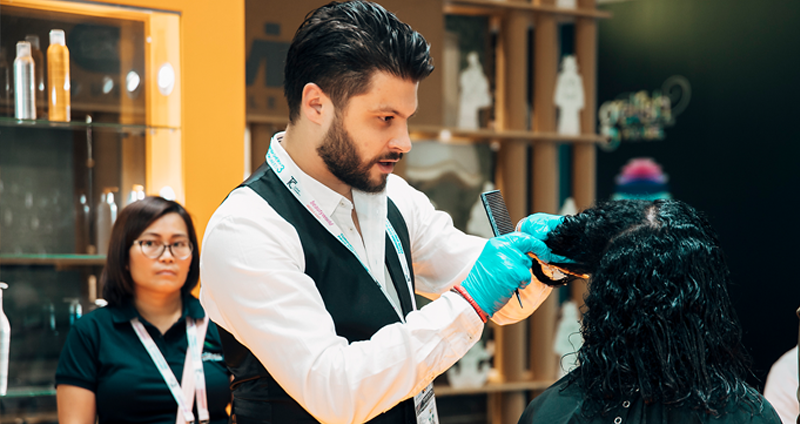 Professionals from the industry, executives and bloggers welcomed the visitors and it was a hive of activities spanning from product demos to treatments and color training. The main feature of the event was new products launch by GKhair. 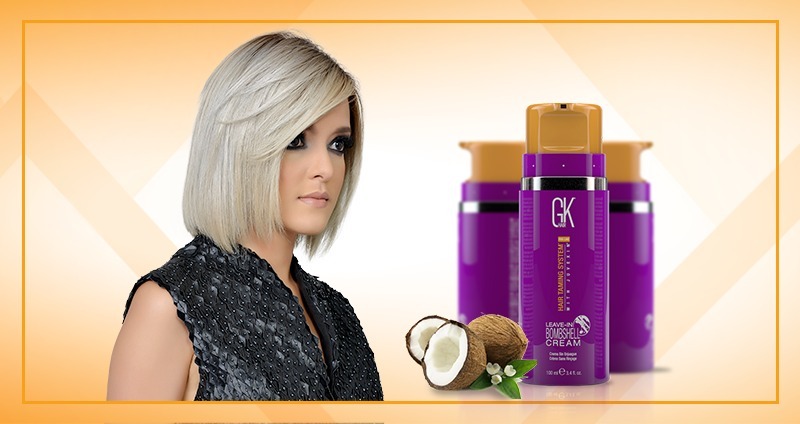 Knowing the fact that hair deserves the best in terms of care, GKhair has added a series of new products in the product line to give colored tresses high affinity hair fiber. 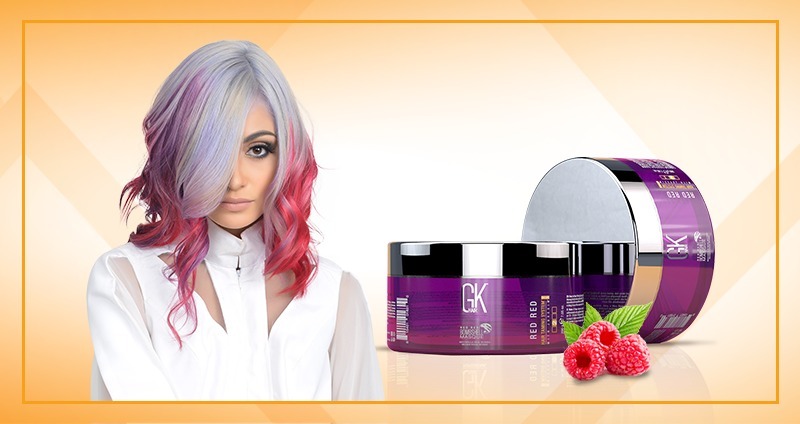 Launching its newest Bombshell Series products, GKhair showcased the deep conditioning color masque (RED RED, ULTRA BLONDE & LAVENDER) along with a styling product Bombshell Leave-In Cream to the general audience. In the past few years, red hair has inarguably become one of the top hair color trends to try. GKhair Red Red Bombshell Color Masque is specially designed to keep your colored hair moisturized while improving the hair intensity with shiny pigments. Our love for finer ingredients of natural origin has led us to come up with this amazing product that has a botanical concoction of organic lavender essential oil. 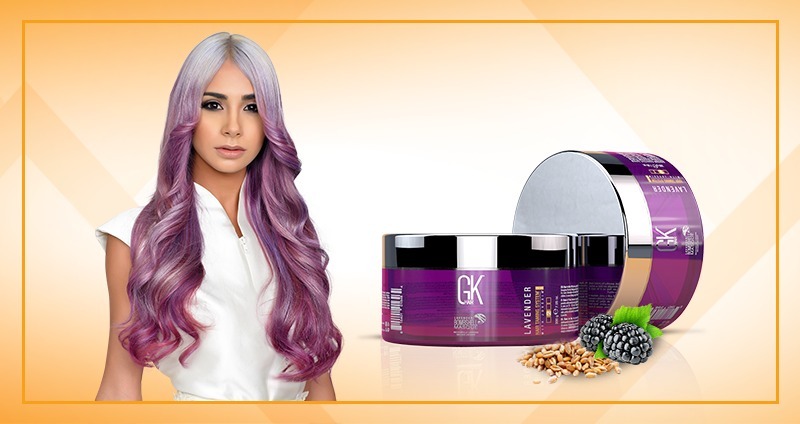 GKhair Lavender Bombshell is a color masque that will not only moisturize your hair but also intensify your lavender hair color. GKhair Ultra Blonde Bombshell works quickly and efficiently to eliminate annoying brassy hair tones leaving only the cool blonde hue behind. All that lightening wreaks havoc on strands, so this product not only boosts hair color tones but also strengthens them for a shiny and radiant colored look. 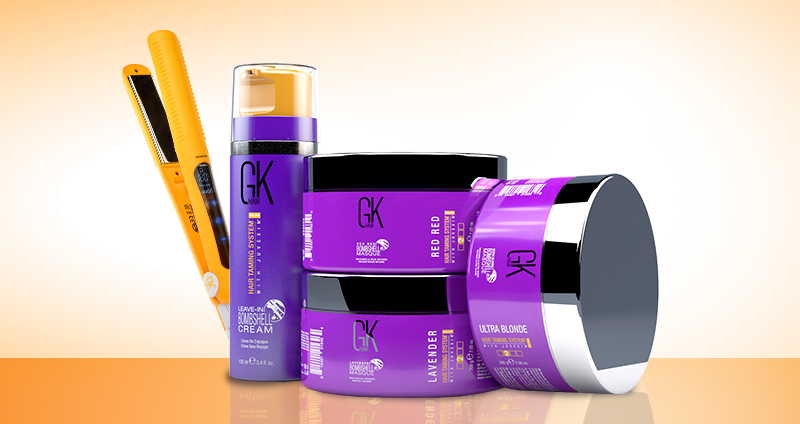 GKhair Leave-In Bombshell Cream is perfect for maintaining cool blonde hues prepared by using Ultra Blonde Bombshell masque. This cut-to-role cream works wonderfully to keep the tresses shiny and radiant after the application of bombshell masque. The latest ionic technology flat irons with touch screen for ultimate smoothing were also introduced to the attendees in the event. Speaking about the artistry behind developing a global brand, Mr. Van Tibolli, CEO GKhair explained how he was able to create a brand that started from selling products to different salons becoming a lifestyle buzz in the industry. He also stressed upon the uniqueness of GKhair products that are infused with Juvexin (A Keratin anti-aging protein optimal for hair). Top artist from GKhair put up a great show by presenting GKhair renowned treatments, hair colors along with implausible hair cutting techniques that gathered great admiration from the attendees. Source: Being the leader in industry hair-care education and innovative artistry, GKhair has always promised to fulfill hair needs and find solutions for hair problems. For more news please visit https://www.gkhair.com/.